Please accept my sincere congratulations on the anniversary of the election to the chair of the Roman bishops. The first year of your pontificate was marked by great hopes and important undertakings in the Roman Catholic Church. Striving to make the presence of your Holiness evangelical ideals in modern society more clearly already bearing good fruit. Your care and attention to the needy and disadvantaged remind people about the duty of brotherly love, the necessity of good works show solidarity towards the needy. In the past year have been further development of bilateral relations between the Russian Orthodox and Roman Catholic Churches. Pleased to note the high degree of mutual understanding and commitment on both sides to strengthen Catholic-Orthodox cooperation for the establishment of Christian spiritual and moral values ​​in the modern world, the protection of the oppressed and serve others. I wish Your Holiness spiritual and physical strength, peace, joy and relief from Velikodarovitogo and Bountiful God in your high ministry. 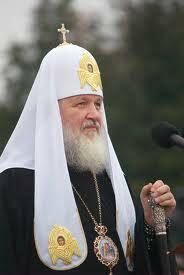 The statement comes only days after Patriarch Kirill, along with the leaders of the other World ‘Orthodox’ Patriarchates and Churches returned from meeting at the Phanar. 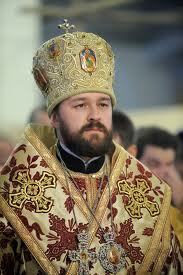 I heartily congratulate the first anniversary of your election to the Bishop of Rome. Initiatives taken by Your Holiness in the first year of his pontificate, aroused response among believers of the Roman Catholic Church, and you have earned a well-deserved respect from all those in the world who care about the future of Christianity. The hierarchy of the Russian Orthodox Church notes with satisfaction the similarity of the positions of the Moscow Patriarchate and the Roman Catholic Church on many current issues. Over the past year I had the joy to meet and talk twice with Your Holiness. 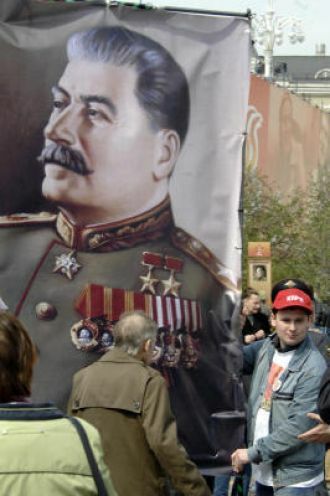 Thus you always exhibited a friendly openness and respectful attention to the position of the Russian Orthodox Church. Allow me to express the hope that in future bilateral relations between the Roman Catholic Church and the Moscow Patriarchate will be based on understanding to develop the Orthodox-Catholic dialogue, and for the establishment of Christian ideals in modern society. Please accept my sincere wishes for peace, good health and God’s blessing in your primatial works. 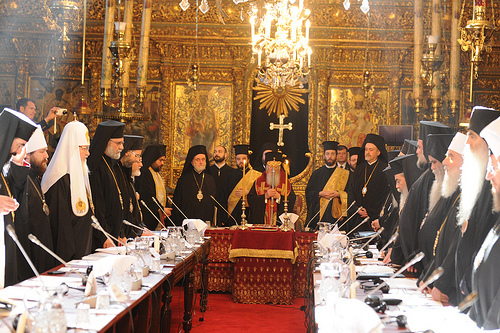 Statements by various World Patriarchate leaders about the close relations between the Papist Church and the World ‘Orthodox’ seem to affirm a commonality, even stating, as Ecumenical Patriarch Bartholomew has, that the two Churches are “sister Churches”. This seems to be in the context of the 50th anniversary of the meeting this year of the meeting between Patriarch Athenagoras and Pope Paul VI, which was followed in 1965 with Patriarch Athenagoras, in a joint liturgical ceremony with Paul VI, deciding against Orthodox tradition to lift the anathemas. An upcoming meeting between Bartholomew and Francis is expected from statements made by the Phanar websites and Bartholomew himself.